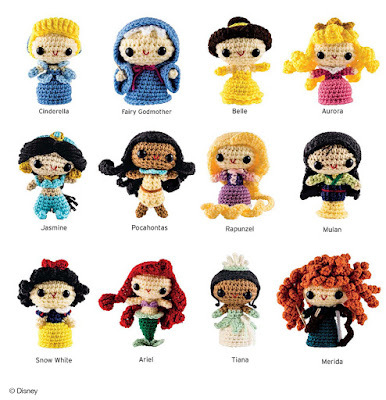 Create 12 of the most enchanting Disney characters! A full-color, 76-page instruction book with detailed patterns and colorful photos will guide you from "once upon a time" to "happily ever after" using your yarn and hook. 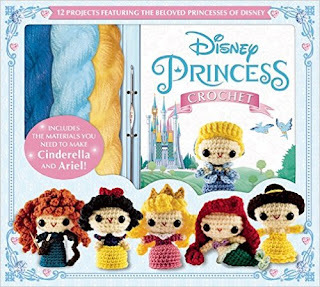 To start you off with a bibbidi-bobbidi-boo, the kit includes all the materials needed to create Cinderella and her Fairy Godmother. Each amigurumi princess is sure to be a treasured part of any crochet collection! Do you want to crochet a snowman? How about Elsa and Anna, too? Let it go and create all twelve cuddly characters from the "Frozen" tundra! 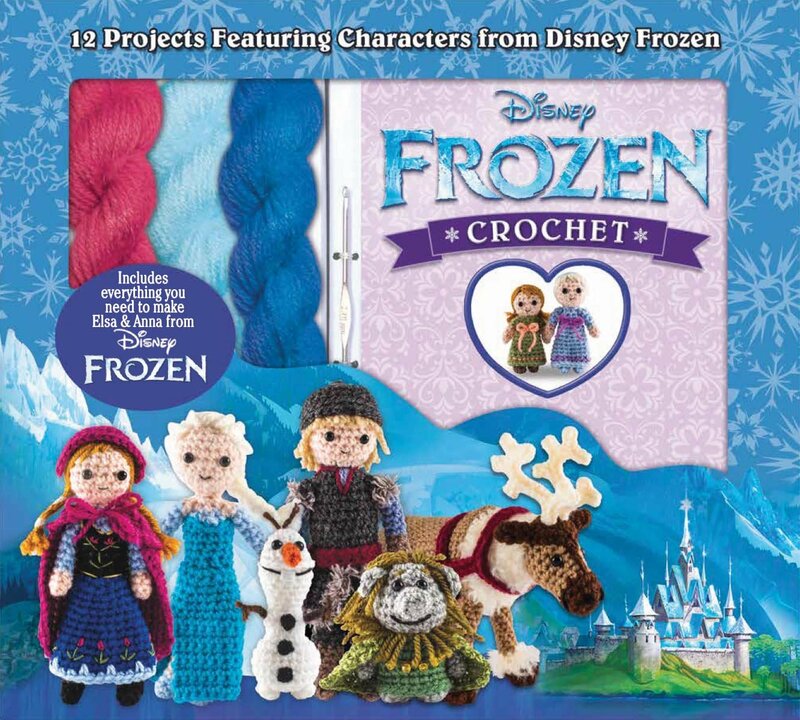 All the materials you need to create Elsa and Anna are included, and your creativity is sure to snowball from there. The Queen of Cold and all her friends will make great gifts, or adorable additions to your own collection. Don't hesitate! For the first time in forever, let these characters melt your heart. Crochet has been something I have loved for several years. I learned how to crochet while at work a few years ago. I think it's been around 4 years now. I love crochet because it's not just 2 dimensional! You can do anything as long as your imagination can take you there. I love that there is so many crochet patterns online for just about anything. The only thing is they don't always make sense or are easy to follow. These books are super easy to follow and understand. The kits come with everything that you need to make 2 characters each with the directions to make so many more. It comes with a small crochet hook that is usable but after a bit it hurt my hand. I love how the yarn is twisted allowing more yarn taking up less space. I have of course started Ariel Because she is my favorite. The only thing that I don't like is that the books are so stiff but over time it will loosen up. I really love this book for the instructions on how to do hair. Hair is one thing I haven't mastered yet except for the straight hair and with this I can make the hair using the directions in these books for my own creations. These make great gifts for any crafty person in your family. Or you can get them for yourself and then make them for friends and family. Wow!!! I really wish I knew how to crochet. My girls would go crazy over these! !